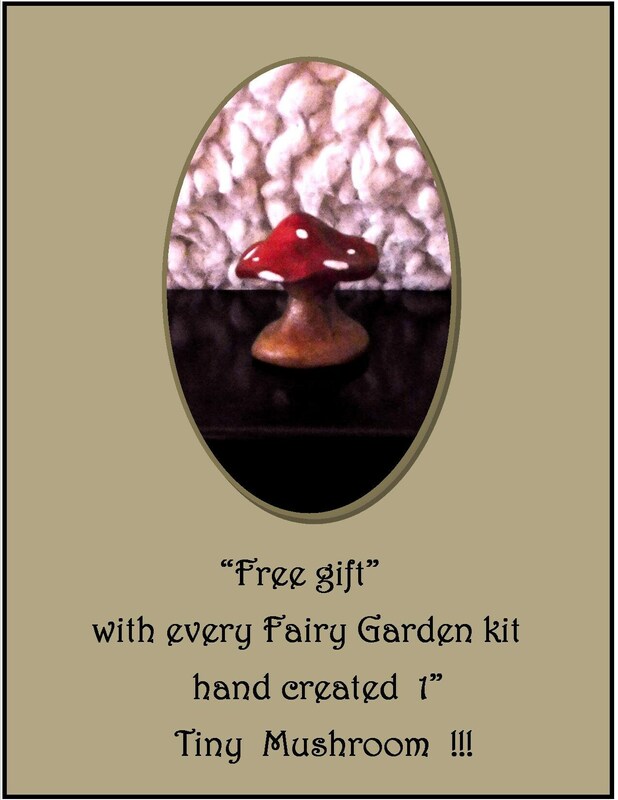 Individual, Fairy items, please view my shop For set Discount kits. 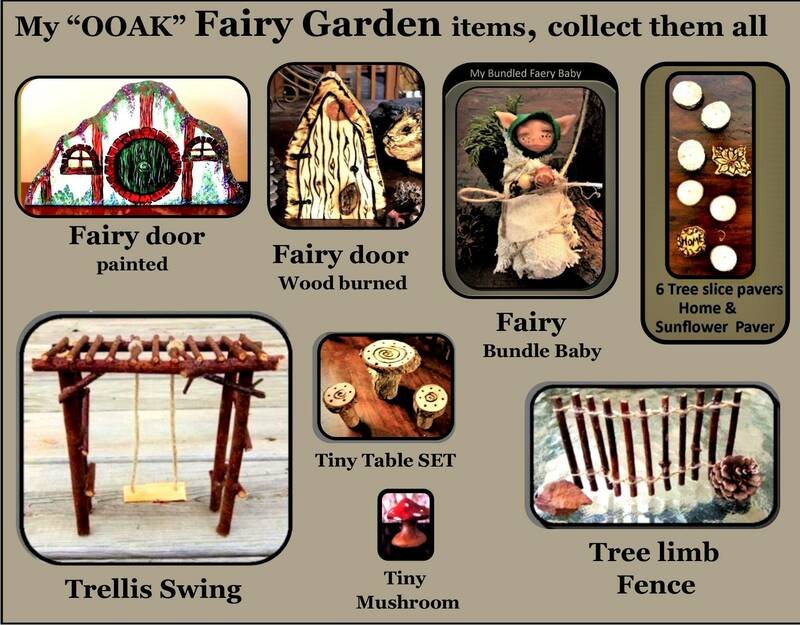 My Custom Designed and Created Fairy Garden items are a Great way to bring Magic into your life! 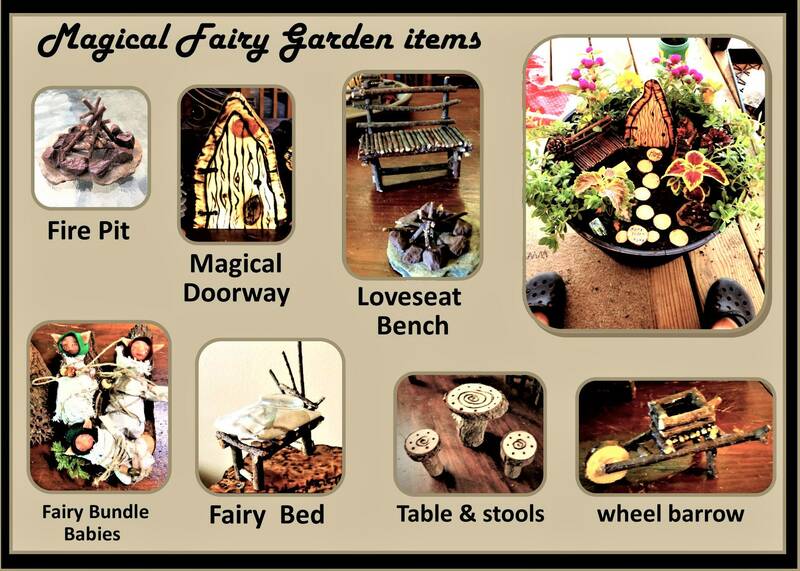 Fairies and Pixies, the "Fey" will love these Enchanted Benches, where ever you choose to put them! 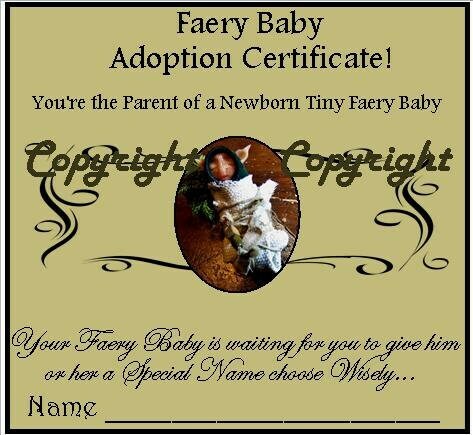 You can put them your home, in your Garden, in a flower pot or bowl, or in the woods, or near a Tree or Stream! Fairies (fey) love Nature, Water, Wildflowers and anything from Nature! 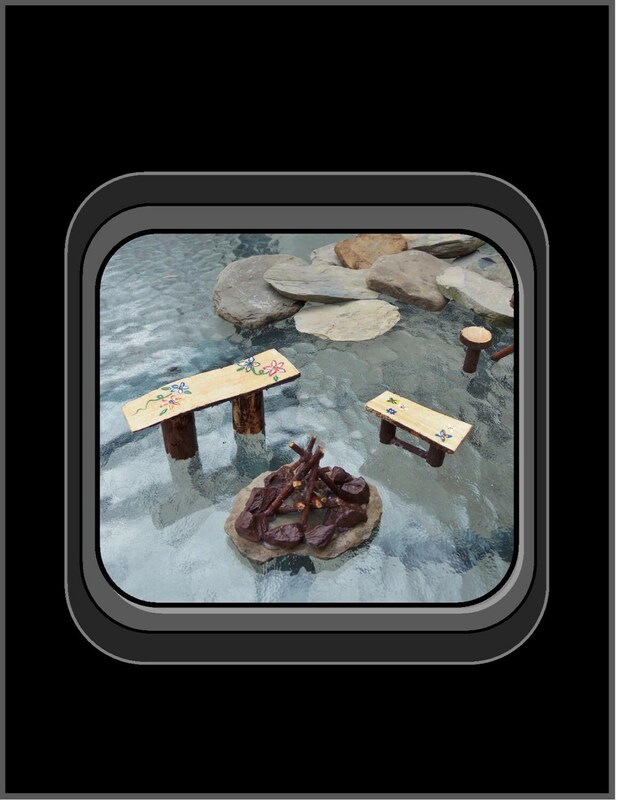 Make a whole fairy Garden and collect miniature pieces to add to your Magic Garden! Fairies that answer your invitation to come into your home or Magical Garden, will feel welcomed and appreciative of the gifts you have given them. 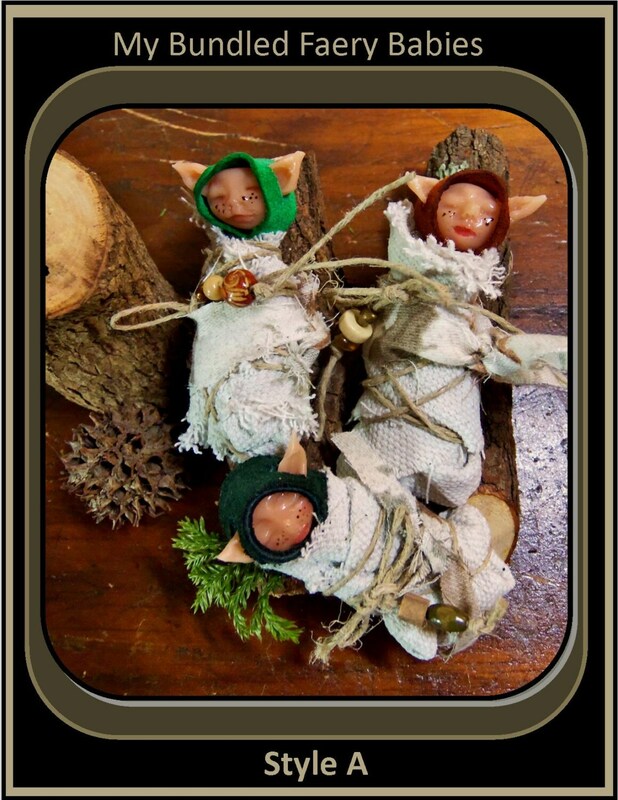 These Fairies will bestow gifts of gratitude Upon you such as Happiness, Good Fortune and Wishes! 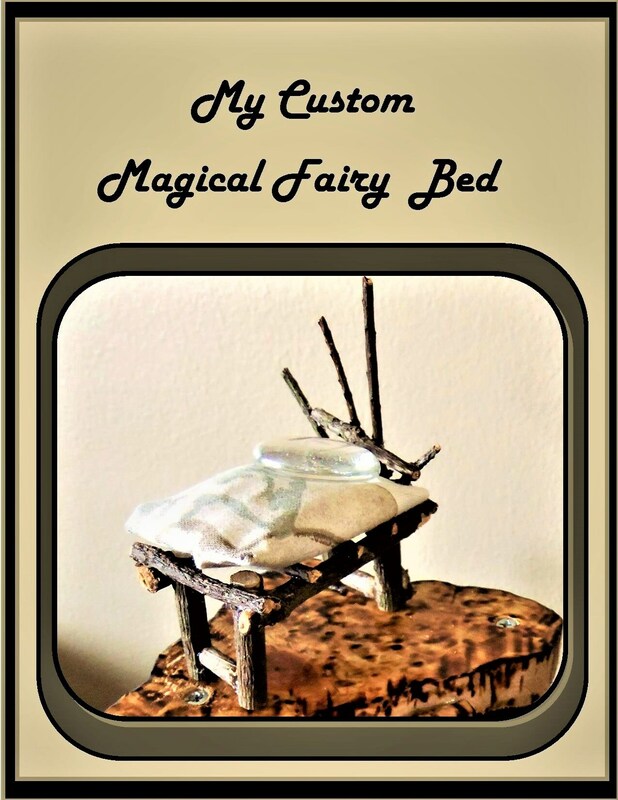 Children, who can see Fairies much easier than Us adults, will find these Miniature magic benches, to be Enchanting, their Imaginations will be sparked and their Hearts filled with Joy when their Fairies come to visit! 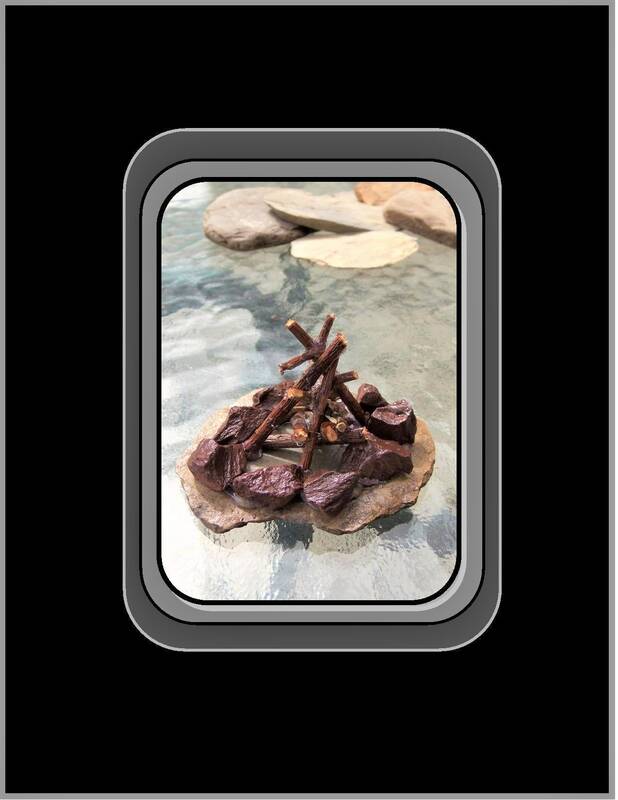 My Kits are a Great value and give a “BIG” discount off the cost of individual items!